Performing regular diesel fuel injection service in Fort Lauderdale is important to ensuring the fuel system continues performing optimally. The fuel system of any diesel engine, whether its a marine or automobile diesel engine, can be considered the bloodstream of the engine. This means neglecting to maintain the health of the fuel system, especially the fuel injectors, could put the entire engine at risk. Having the fuel injectors regularly inspected and serviced is the best way to prevent the fuel system from becoming compromised. This can lead to expensive repairs in the future that could easily be avoided. Routine fuel injection services for diesel engines can also provide a number of benefits while preventing major issues. Continue reading to learn more about the benefits that a diesel fuel injection service in Fort Lauderdale can provide diesel engines. Aside from keeping the diesel engine in the best shape possible, it can also save money in the long term. 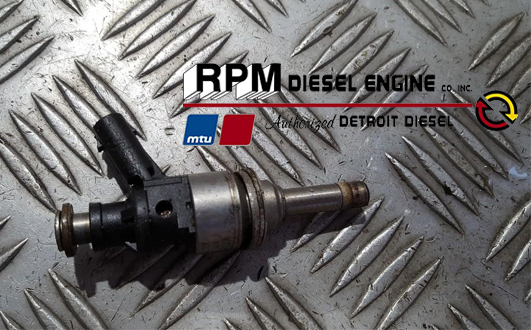 If you have any further questions regarding diesel fuel injection service or require assistance then contact RPM Diesel Engine Company today. The fuel system of any diesel engine is comprised of five major components that allow the engine to function smoothly and effectively. The major components are: the fuel pump, fuel lines, fuel tank, fuel filter, and the fuel injectors. If any of these components become damaged or fail, the entire engine can quickly become compromised. The diesel engine, whether it be in a marine vessel or automobile, requires an exact amount of fuel at the right time in order to perform optimally. The most common issue that compromises the fuel system is a damaged or faulty fuel injector. Regular diesel fuel injection service in Fort Lauderdale is extremely important to keep the fuel injectors functioning properly and by extension the rest of the diesel engine. Typically, issues with the fuel injectors can come about from a diesel engine that is unused for long periods of time. This is especially true if the fuel tanks are not full. Although servicing the diesel fuel injectors is a straightforward process, it does require an experienced technician with a comprehensive understanding and testing equipment to be done correctly. A professional diesel fuel injection service in Fort Lauderdale has the experienced technicians and proper facilities to perform a wide range of diesel engine services. An experienced diesel technician is able to comprehensively perform a number of tests to find the issue with the fuel injectors. Routine diesel fuel injection services can not only keep the engine running at peak performance but can save money in a variety of ways. The primary advantage is generally considered fewer avoidable and costly repairs however routine fuel injection service can also improve the fuel efficiency of the engine. Contact RPM Diesel Engine Co. Inc today if you want to improve the performance of your diesel engine and save money while doing it.